Located in the center of Split the Hilltop guesthouse is ideally located just 10-15 minutes walk from the train station, bus station and the ferry port- making it the perfect choice no matter what mode of transport you use travelling to Split. Staff here at the Hilltop speak English and are on hand to help and advise you throughout your stay here in Split. Accommodation on offer is comfortable and relaxed. 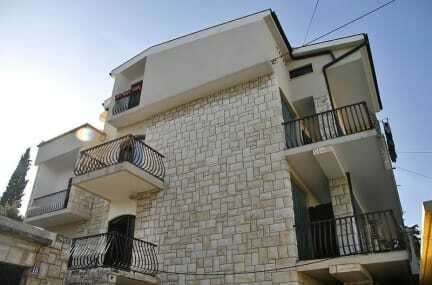 The property has been recently renovated making it the ideal accommodation option for your stay in central Split. Great cozy, clean, friendly place. Has everything! Probably the best in Split. Its a perfect place to stay in Split. Very friendly and helpful staff, very clean. Great location ! I recommend ! a very welcoming and helpful host, who takes care of the place, new facilities and close to the center! highly recommended! Spotlessly clean, great facilities, and friendly staff. What more could you want? Peter was incredible! he was so welcoming and kept the place incredibly clean. He always checked if we needed anything and took so much time to show us around. Nice guy who owns the place. It's an apartment, some rooms are dorms and some are private. Rooms are spacious, one dorm has an en suite, others share a common bathroom. 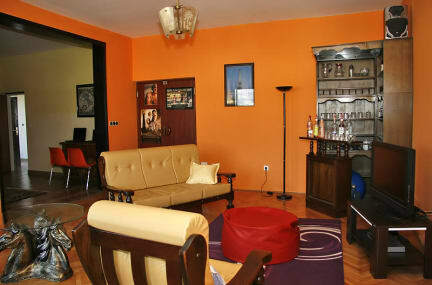 Location is a few minutes walk out of the city center, but very close. Has a smart TV with Netflix app, but you need to sign into your own account. There are lockers in the rooms for your stuff, however the front door is always unlocked, I'd recommend a key code lock here. Good place and amazing value for Split. Great way to see where the locals live as you are on the hill in the suburbs. Nice small hostel, very clean. Room was a touch hollow, so could hear people talking etc in the common area. Was a bit of a walk up a hill in the heat to get there, a bit further than the instructions suggest, but was a good location away from the hustle of the city center, close to viewpoints as well. Biggest downfall was only 1 toilet and 1 shower, both in the same room. Not ideal, especially in the mornings. Peter the owner was lovely though.